Sabal birmingham or louisiana movable? Can I transplant a sabal birmingham or louisiana that has been in the ground a couple of years? Both are around 3' tall. Plan to move in May if it's doable. Sabals can be difficult to transplant, especially when small. If you do attempt to dig them try to get as much of the root system as possible, and keep them well watered when reestablishing. Good luck! Yes, just be very careful with their roots, I learned the hard way with my Louisiana. It eventually made a comeback after not growing whatsoever for 2 years. The rule I've learned is that, at least for trunking Sabals, do not attempt a transplant until the palm has at least 4' of vertical trunk above the ground. That is because for a number of years the trunk and therefore the growing point are way underground and attempting to dig them up usually fatally damages them. You run into similar issues with "non-trunking" Sabals like S. minor. Years ago I gave my sister-in-law and young seed grown Sabal minor for her back yard garden in Raleigh. What I didn't know back then is that she has a habit of digging up and moving her Japanese maples all around the yard. One day she decided to dig up and move the Sabal minor - and promptly killed it. A couple years ago I gave her a Sabal minor Blountstown dwarf but warned her to let it be after she planted it. All that said, your palms are still reasonably small. Sabals Birmingham & Louisiana aren't that difficult to find if yours don't survive. Maybe cut a few of the fronds off as well so the plant isn't trying to support so much with limited root resources. I am not an expert but maybe root pruning a 1/4 or half of it now and remove a few fronds?? Thanks for the advice all. I knew it was questionable to move them and I hate to do it. 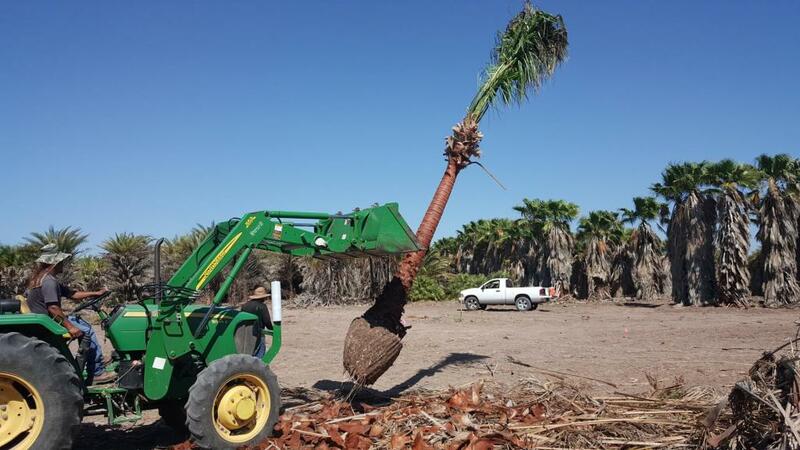 Also not an expert, but I've generally heard that, when transplanting most palms, it isn't advisable to cut the fronds off. The more fronds, the more energy produced for the roots and the rest of the plant. 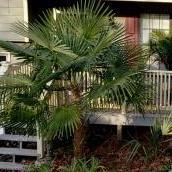 The only exception is a trunking sabal palms, which holds water within its trunk: these usually are cut back all the way, both roots and fronds. Transplanted Sabals will regrow new root systems. Cutting off fronds down to the spear reduces transpiration while the roots regrow. But younger Sabals have large, deep underground stems before or in lieu of growing an aerial trunk. That underground stem includes the meristem/growing point, which is easy to fatally damage during the digging up process. Once a trunking Sabal has an extensive aerial trunk, i.e., 4' or taller can you be sure the meristem is out of danger. The problem with almost all Sabal minors is that they don't grow aerial trunks, so their meristems are in extreme peril during transplants. Thanks for the additional info. It helps. How many big palms have you moved? Why? Was I mistaken when I claimed the less fronds the less energy the plant is able to synthesize? My experience with non-trunking sabals and saw palmettos has been to get as much of the root as possible, cut only the brown, dying fronds and water A LOT. I’ve tried pruning back fronds on palms- but specifically non-trunking sabals and saw palmettos- and the mortality rate is a lot higher when I pruned half of the living fronds off. I have moved a lot of palms in my time and i would never leave all the leaves on them, the cut roots are not performing optimally, and the extra leaves are losing water from transpiration. Sabals are known to be readily transplantable when either very small or very large, but not when intermediate in size. I suggest reading the parts regarding Sabal in this document: http://edis.ifas.ufl.edu/pdffiles/EP/EP00100.pdf. If these species behave the same as S. palmetto, you should try to keep some entire roots intact without cutting them at all. If a root is cut, it dies back all the way to the stem, regardless of how far from the stem that the root was cut. Does anyone know if root dieback affects Birmingham or Louisiana like it does with Palmetto? A couple of years ago a neighbor of mine carefully dug up a couple of S. Louisiana seedlings (not yet palmate) for me. She appeared to have gotten at least most of the roots - wouldn't let me dig them myself - and they all died within a month. I believe they do behave the same as palmetto and are tricky to move - not impossible, but tricky. I have successfully moved a regular minor that was mature (maybe 5 or 6 adult leaves). P.S. How 'bout them VOLS! Expect the roots on all Sabals to behave similarly. I don't think they would survive. All young Sabals I've tried to move have died. I dug up two Sabals from a natural grown environment in North Louisiana last year. One survived and pushed new growth. The other spear pulled and hasn’t shown any signs of life. On a side note I had no idea how big the root was? If I try to move another I won’t do it during July when it’s 100F.